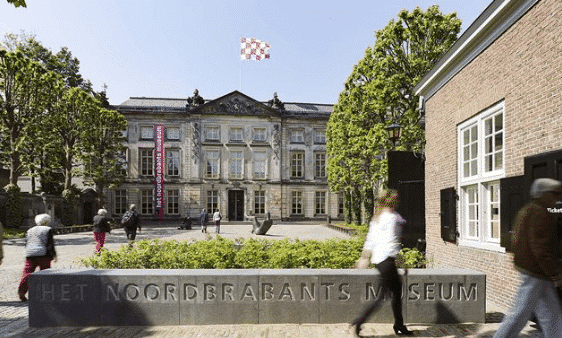 The North Brabant Museum can be found in the innercity of ‘s-Hertogenbosch. It is a museum about the art, culture and history of the province North Brabant of which ‘s-Hertogenbosch is the capital city. Besides the regular collection there is a diversity of changing collections in the gardengallery and sidewing of the building. The museum owes its reputation to its continuous program of large and small exhibitions on various topics, both historical and current. Together with the Stedelijk Museum of ‘s-Hertogenbosch it forms the so called Museumquarter (Museumkwartier in dutch). The Museumquarter is a new part of the innercity where art and culture meet in a beautifull environment. Children up to 18 years have free access, adults pay 12 euro’s. If you wish to visit both museums you pay 15 euro’s (I recommend this).